Pity the poor Supernatural fan. Right now, we're in the middle of a Supernatural drought. Season 10 wrapped in May, and Season 11 won't ramp up again until October 7. In the time between now and then, it'd be nice to re-watch Season 10 (um, again and again and again) and make sure all the nuances are absorbed before the new one begins. But, sadly, it hasn't made its way to streaming yet. 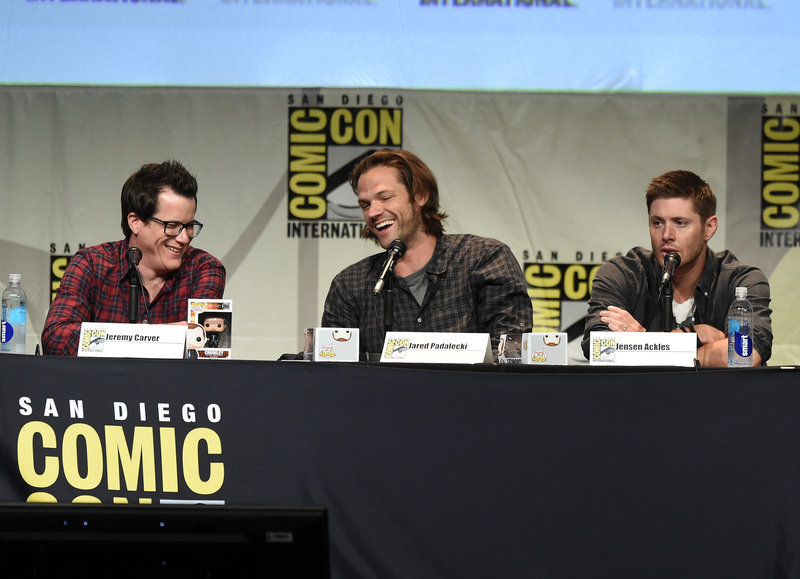 So, the big question: When will Supernatural Season 10 come to Netflix? Update: Netflix announced in a press release that Season 10 will be available to stream on Oct. 7. Sadly, the answer to this one isn't so satisfying. Chances are, Season 10 will head to Netflix right around the time that Season 11 will start airing on the CW. "The nature of Netflix’s relationship with the CW is based on a yearly cycle meaning that you can expect it to renew around the same time as The Vampire Diaries, The 100 and Arrow," reported whats-on-netflix.com. "So with that said, we predict we’ll be getting all 18 episodes in late September or early October along with the updates. Most likely, is the case we’ll get all the new episodes on the first of October as traditionally the first of the month is the day when we get the most titles added to Netflix." So, what do we do until then? Here are some suggestions of things you can stream on Netflix right now that might fill some sort of Supernatural-shaped hole in your heart. You don't get the 3D goodness from My Bloody Valentine's theatrical release, but you do get to see Ackles acting like kind of a madman in this pretty decent horror movie. Oh, Dean. We could never forget about you. But, be honest, even if Padalecki weren't playing Rory's first love, you'd probably re-watch Gilmore Girls anyway. Okay, this movie is little seen and might not be very good, but it's got your Collins fix. Based on a true story, the movie has Collins and Laura Prepon (another Netflix favorite) playing a husband and wife accused of some horrific crimes in Canada. Collins isn't supernatural in it, but he does have a front-row-seat to some evil deeds. This made-for-TV Syfy movie doesn't just feature our very own Crowley as a young Captain Nemo, the whole thing was directed by Sheppard. Plus, it's probably way better than a Sharknado. This movie, directed by Terry Gilliam (of 12 Monkeys fame) and starring Matt Damon and Heath Ledger, is pretty underrated and deserves another look. Plus, Damon and Ledger play the fairytale Brothers Grimm, and, like the Winchesters, they definitely fight supernatural evil (and look kind of foxy while doing it). Or, you know, you can always watch Supernatural Season 9 again.